When Alan Bennett's whopping 700-page omnibus of picked-up pieces landed on my desk, I considered giving it a pass. But how could I resist after happening upon this diary entry from 2005, which reads in its entirety: "Robert Hanks, the radio critic of the Independent, remarks that personally he can have too much of Alan Bennett. I wonder how he thinks I feel." 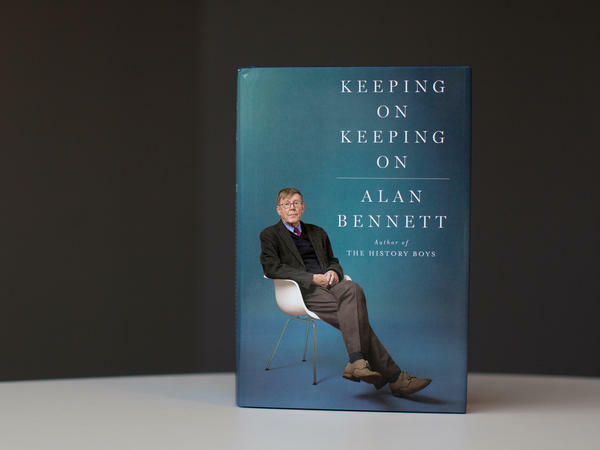 You, too, can have too much of Alan Bennett if you attempt to plow through this catchall of diaries, introductions to his plays, diatribes, and unpublished scripts straight through; it's meant to be imbibed in small, random sips. I took the gestaltist route, gulping and guzzling, and I'm here to tell you that it wasn't wise. Bleary with eyestrain, I felt clobbered by repetitive rants bemoaning the Tories and their mad march toward privatizing everything from National Health and schools to public libraries — however sympathetic I am to Bennett's views. This volume follows two earlier autobiographical doorstoppers, Writing Home (1994) and Untold Stories (2005). Bennett has said he considered calling it The Long Slide or More of the Same. Keeping On Keeping On says it all. Bennett, who's been a ubiquitous presence at England's National Theatre and BBC radio for decades, is best known in America for the stage and movie versions of The Madness of King George III, The History Boys, and The Lady in the Van — starring Maggie Smith as the vagrant he generously allowed to park in his London driveway for an astonishing 15 years. He offers his perspectives on all of it — and on his lovely little satirical novel, The Uncommon Reader — in these diary excerpts, written between 2005 and 2015. At 83, Bennett is well aware that he can't entirely avoid the impression of heading down life's exit ramp with a late-life collection like this. "Eschew the valedictory though one tries to do," he comments, "anything one writes at this age is bound to be a degree testamentary, with the writer wondering what of anything he or she has written will survive and for how long." That said, he acknowledges amid various complaints about England that he really hasn't changed much over the years and was ever crotchety and opinionated. "I note at the age of ten a fully developed ability not quite to enjoy myself, a capacity I have retained intact ever since," he writes good-humoredly, adding, "I was saying farewell to the world virtually in my teens and my first play (when I was 34) was a lament for an England that has gone." These days many farewells are to old friends and theatre colleagues, a sobering number of whom die during the course of the ten years covered in these diaries. (Many, like the subjects of his political discussions, won't be familiar to American audiences.) One pointedly unlamented death is Margaret Thatcher's, a "mirthless bully" about whom he comments, "In fact to have no sense of humor is to be a seriously flawed human being. It's not a minor shortcoming; it shuts you off from humanity." Along with his healthy sense of outrage, Bennett's cheeky sense of humor is on full display here. When asked by a stranger, "Aren't you famous?" he answers, "Well I can't be, can I, if you don't know my name." He also milks the humor in the foibles of aging, recounting various mishearings — Grantham for grandson — and his inability to find a pullover he was wearing that morning. His longtime partner Rupert Thomas informs him that he's still wearing it: "You've put the other one on top." Following the diary excerpts, the second half of Keeping On keeps keeping on and on, a relentless, repetitive hodgepodge of prefaces, commentary, and tributes topped off by two fun, previously rejected scripts. It gives a new twist to the expression publish or perish, seemingly fueled by a fear that what isn't collected and published in book form will perish. The overall effect is like an oversized suitcase into which a traveller keeps piling additional clothes just because there's room. Still, the joy of Bennett is his inimitable voice. Stepping off his soapbox, he comments, "One does try not to be an Old Git but they don't make it easy." He adds, "These days I am too old to be on my best behaviour. And I'm too old not to be on my best behaviour also."